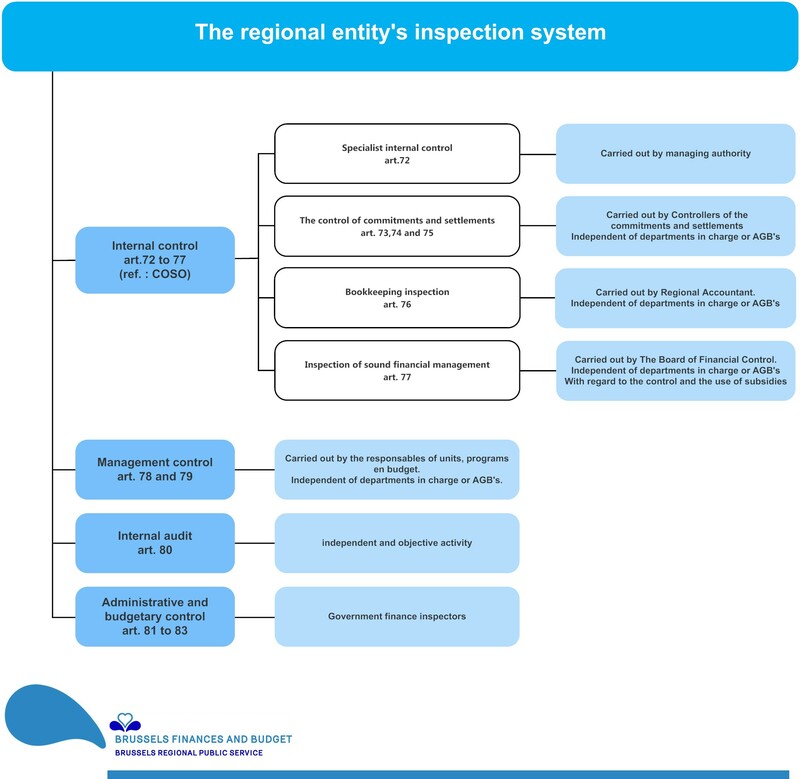 The inspection system for the regional entity consists of various aspects and is established in the organic order of 23 February 2006 concerning the terms applicable to the budget, accounting and auditing (OOBBC). The regional SAP platform is a tool that is available for AGBs in order to control regional finances. reliability of the financial information: whether the operations are legal, regulated and justified and whether the financial position is correctly protected.